DENVER — The City of Denver wants your input on conceptual design elements to improve South Broadway from the I-25 Broadway station to the Cherry Creek Trail at 6th Avenue. "The conceptional design elements aim to move people safely along the corridor and improve travel for all users," explained Heather Burke with Denver Public Works. "There are a lot of users on Broadway. There's a lot of people walking, a lot of people riding bikes and taking transit. There are a lot of restaurants and businesses people are visiting." In addition to roadway improvements, the city is going to rebuild 13 traffic signals along South Broadway. The new signals will have bigger heads to improve visibility. There will also be pedestrian countdown signals to help pedestrians cross the street safely. 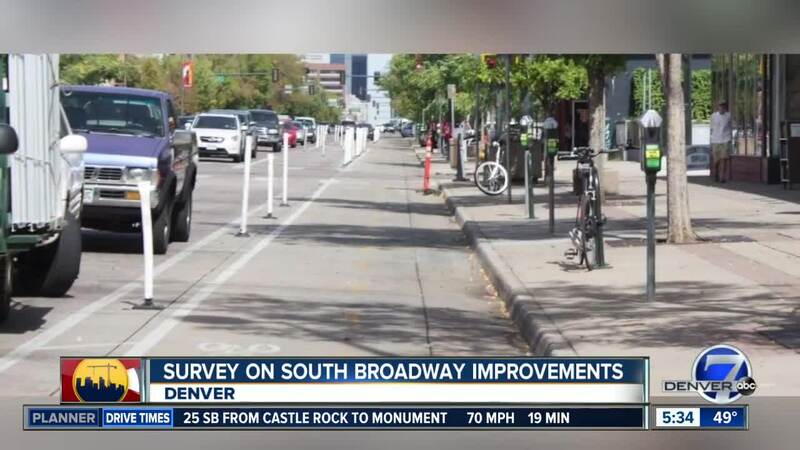 Learn more about the project and take the survey on the Denver Moves Broadway website .